Robert Latchman (Brooklyn, NY) has a keen eye for architecture, and especially the Brooklyn Bridge. Working out of Dumbo’s LAND Gallery he’s able to visit and draw his favorite subject nearly every day of the week. 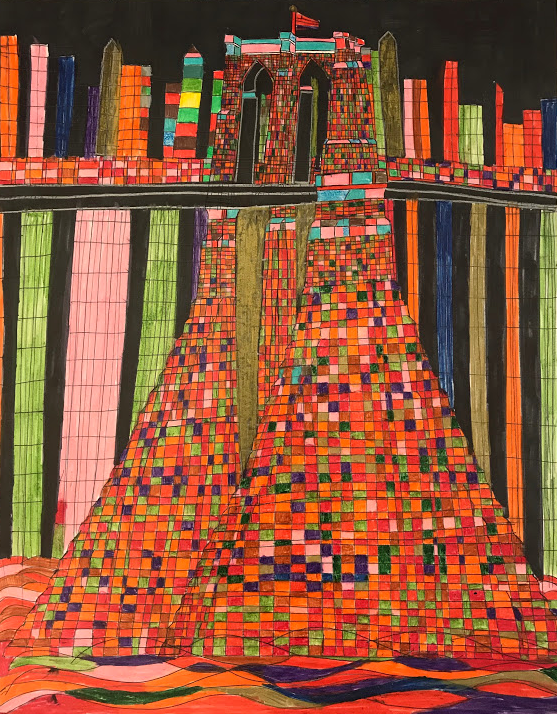 Robert's current focus is on rendering the Bridge in different perspectives, transforming it into a personal symbol, full of color and strength.